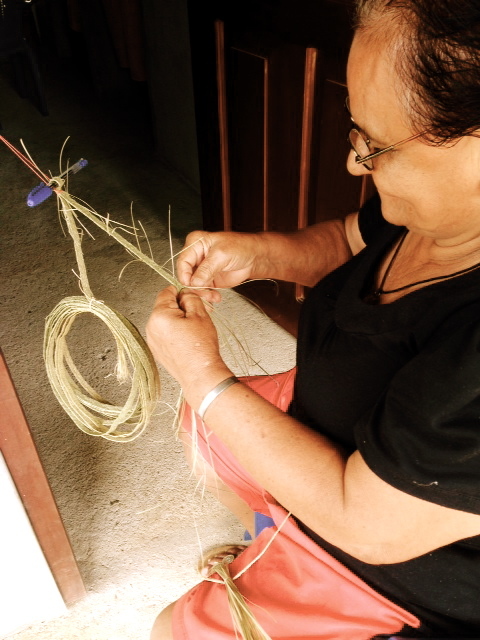 There is a tradition that exists in the Azuero Peninsula that we are lucky enough to witness firsthand: hat making. This is something that has been done for centuries in this area, and it may just be the birthplace of the famous “Panama Hat”. This is our neighbor, Pita. She is a ray of sunshine, and after speaking with her about her hat-making skills we learned what an abundance of patience she has. 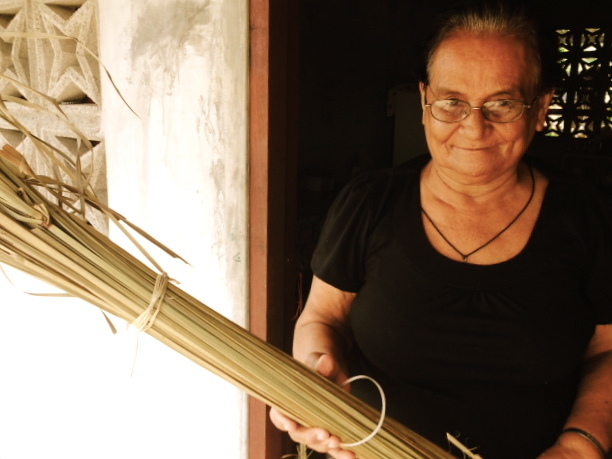 Here Pita is holding a stalk of grass that her “Señor” cut for her from the banks of the creek that runs behind her house. She separates each piece into smaller threads, by pulling it apart little by little. 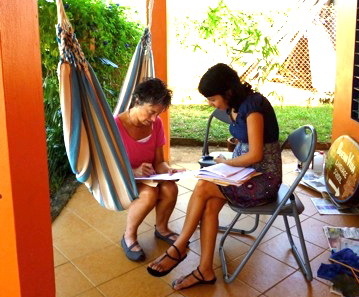 She then weaves each thread together to form a flat rope. This takes her about a month. After, she gives it to another woman to be sewn together in the shape of a hat. This other woman just so happens to be the mother of one of our teachers, and apparently she also has an abundance of patience because this process takes her 22 days. The result? 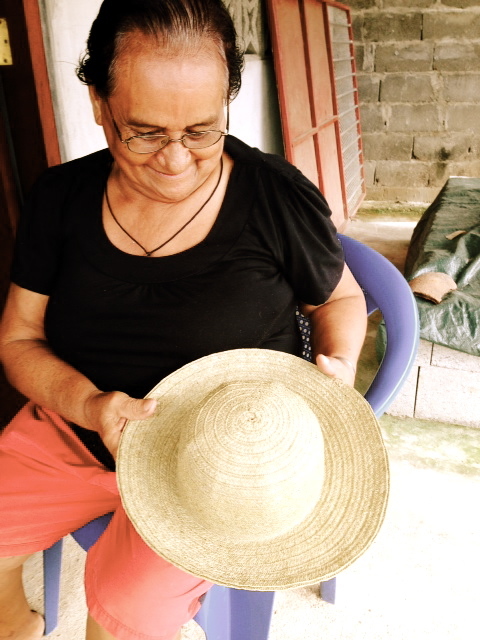 A “Sombrero Santeño” – a hat from the Los Santos region of Panama. Depending on the weave and type of grass used, these hats can cost up to $300. It’s no wonder, they take about two months to make!